It’s that time of year again when all the flower crowns go on, shirts turn into crop tops, and shorts get shorter. Coachella is back and with a better lineup than the year before. Coachella’s all-embracing three-day lineup consistently crafts the pool of performers from which all other summer music festivals borrow. Three of the most well know acts that are playing on different days are Radiohead, Lady Gaga and Kendrick Lamar. In addition to art and music, Coachella is known for their wide variety of amazing food options, making the festival the perfect experience for foodies. The festival typically has food trucks and stands from some of the best restaurants in the area, with options ranging from vegan to fast food. There are also a number of coffee, tea and other beverage options. The festival also offers an internet café, allowing visitors to access free wi-fi from their mobile devices. 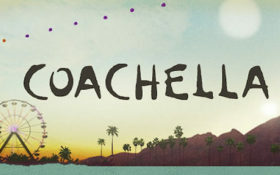 Whether you are looking for music, clothes, or fan memorabilia, you are certain to find it at Coachella. The festival has an array of interesting shopping options for people of all ages. In addition to general stores and tents for custom items, Coachella provides a boutique and a merchandise tent. Each year, the festival hosts a number of amusing games for festival goers to participate in. The array of games from previous years included everything from a three legged race to dodgeball, with special spelling bees and contests also available. In addition to games, there are also numerous other enjoyable activities to indulge in, including silent dance parties and arcades. However, tickets for the event do not come cheap. General admission starts at $400+ a few weeks before the event, and rise to $800 the weekend of.